When a teenager mysteriously disappears in Hawick Falls, New Hampshire, Lisa Raynes fears her kidnapper, who recently escaped from prison, is hunting girls again. She also believes he’s targeted her for his next victim when she receives a threatening message. To add to her problems, her ex-boyfriend Travis Bodell, nephew of her captor, shows up in town. Five years ago, he promised to love Lisa forever, but he left her to start a new life. Trusting him was a mistake she will never repeat. Bad boy Travis Bodell has a history of run-ins with the law. The police suspect he came back to aid his uncle, not to warn Lisa she’s in danger. With the investigation going nowhere, Travis focuses on Lisa who identifies with the missing teen and wants to find her. To keep Lisa safe, he offers to help her search. She refuses until loving memories of their past surface, and she finally accepts his proposal. Working together arouses strong feelings of attraction that neither will admit. 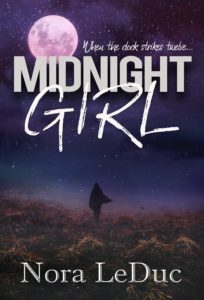 As time runs out for the kidnap victim, disturbing threats against Midnight Girl, Lisa’s online name, grow. She realizes the only way to stay alive is to open her heart and put her faith in Travis, but can she let go of her doubts and lingering hurt? Can the couple join forces and win against a cunning criminal fueled by hate? Lisa parted her lips to say something. Maybe she was going to protest about his wet clothes. No. He’d had enough talking. He bent and touched her mouth. He meant it to be a quick, stolen kiss, but as soon as he tasted her he wanted more. This might be his only chance. She gripped his shoulders before her arms slid around him, tightening as though afraid he’d disappear. Forever they stood their tongues tangling together until he could take no more of the heat, the urgency. His fingers were entwined in her hair holding on to her. Never letting her go. The need to run his free hand over each part of her body and listen to her gasps grew into full-blown lust. “Upstairs,” he said, his voice hoarse. “Three floors?” She tipped her head back and raised her brows. “Right.” Five years. Five years without her. He fisted the ends of her white button-down shirt in both his hands before whipping it open. Buttons popped off and dinged on the wooden surface. Underneath she wore a blue lacy bra. Banks’s entire unit couldn’t stop him now. He yanked off her top, tossed it aside, and swallowed to keep his tongue in his mouth. “Way too far.” He lowered Lisa stared up at him. Her brown eyes were full of questions and a sadness he longed to erase. Had she thought of him much during the years he’d been away? She parted her lips to say something. Maybe she was going to protest about his wet clothes. No. He’d had enough talking. He bent and touched her mouth. He meant it to be a quick, stolen kiss, but as soon as he tasted her he wanted more. This might be his only chance. Banks’s entire unit couldn’t stop him now. He yanked off her top, tossed it aside, and swallowed to keep his tongue in his mouth. “Way too far.” He lowered them to the floor. Okay, so I lied. I totally forgot that I had this post to do. Happy New Year! So, I read this book over the holidays. I needed something to cleanse the palette after the holidays. My holiday was interesting, to say the least, so I need a mystery/suspense book and Ms. LeDuc delivered. I normally don’t read “mystery” books. Yes, I don’t read the cozy ones either but I really liked this one. It had some suspense elements in it, too and don’t worry about the romance taking over. It doesn’t. In fact, I worried about a bit that maybe Lisa and Travis wouldn’t get that “second chance” in the romantic department. You need to go into the book with the mindset that Lisa was extremely tormented when she was kidnapped. It was horrific and Ms. LeDuc does a great job of letting us know in small doses what happened to her and her recovery from it. Travis is the misunderstood bad boy that she dated and is now back in her life when her kidnapper escapes. I really liked both of them, separately and together. The relationship between is completely understandable and plausible. Between Travis being snarky know it all to the cops (trust me, its funny at times) and Lisa’s strength, they are great! The mystery is pretty straightforward when it comes to her captor but Ms. LeDuc throws in a COMPLETELY different spin and I was way off base when I thought I had figured it out. I can pretty much figure out but this time…nope. I was dumbfounded but in a good way. I loved it and it made sense. What a tool. The ending is fantastic, too. Ms. LeDuc throws in some really creepy scenes and her writing flowed like a fog settling in for a spell. Do yourself a favor and pick this gem of mystery/romantic suspense. You will love watching Travis and Lisa learn from past mistakes, take a chance on love and come out stronger in the end. Nora grew up in rural New England and still lives here. She has enjoyed combining my love of true crime shows with her imagination to produce romantic suspense and mysteries that you keep you guessing. Nora LeDuc will be awarding a $25 Amazon/BN GC to a randomly drawn winner via rafflecopter during the tour. 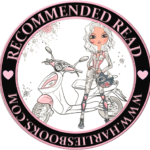 Previous postAuthor Interview of Peggy Jaeger and #Review of Christmas & Canollis w/a rafflecopter giveaway! Did you get any good gifts over the holidays? Hi James, thanks for stopping by and thanks for leaving such a nice note for our host. Good luck in the drawing. Would you ever like to see your book turned into a television show? Genres I enjoy reading. Looks fantastic. Mary, my apologies, I missed you! Good to see you. Thanks for following and commenting. Hope you’re missing most of the bad weather. Hi Victoria, Have a great year. Thanks for following along. Hi Rita, Nice to see you. Good luck on the raffle and Happy New Year. Hi Chesey, Thanks for following. I’m hoping for a new Sandra Brown, Nora Robert, Karen Robard etc. Thanks for asking. Thanks for hosting. I happy you enjoyed my book in the sometimes hectic holidays. Here’s to a great reading year.